Your garage is one of the most used spaces in your home. 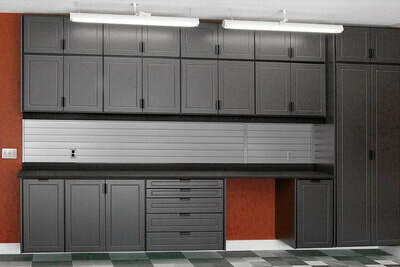 it’s important to choose the perfect garage cabinets for your needs. 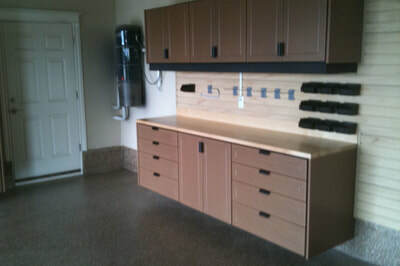 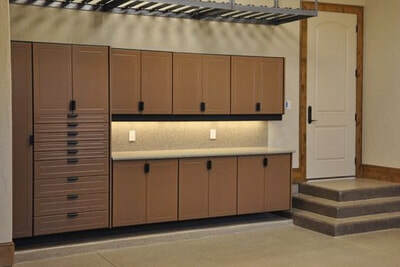 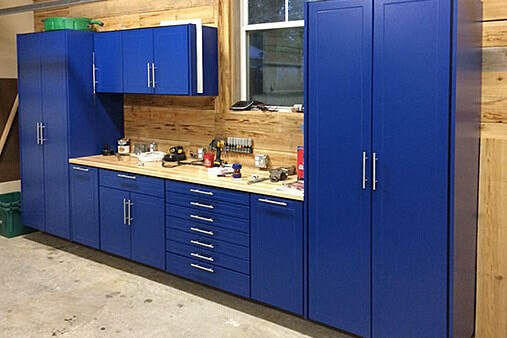 Since your garage is an extension of your home, you should seek cabinets are attractive and functional. 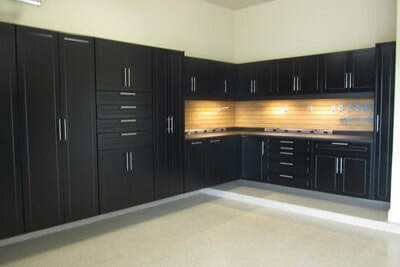 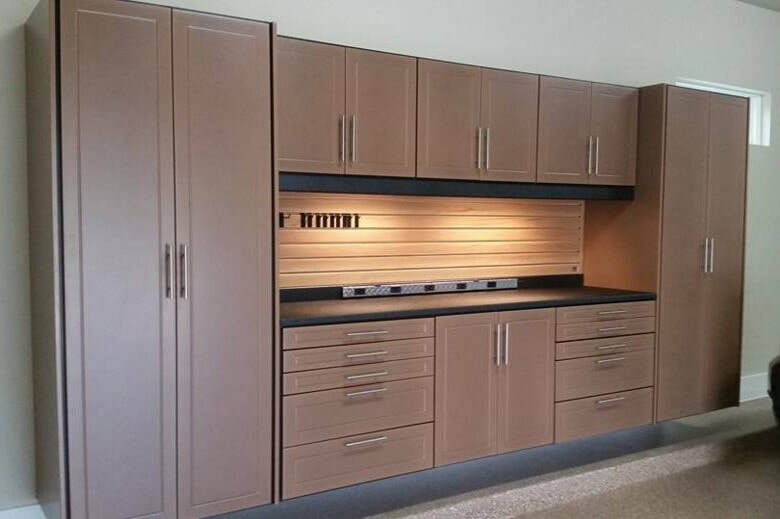 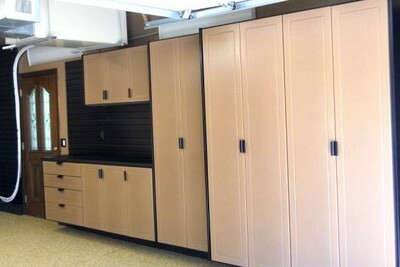 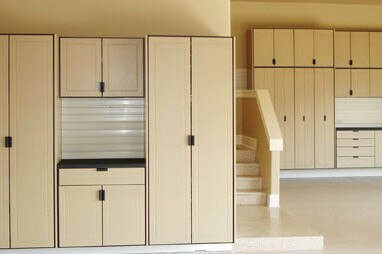 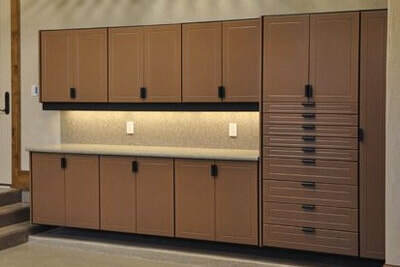 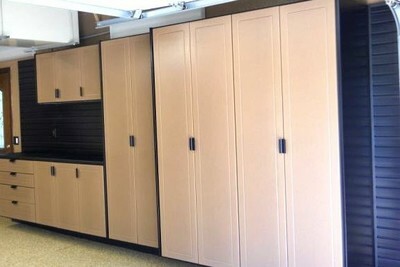 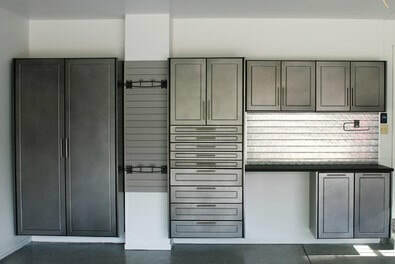 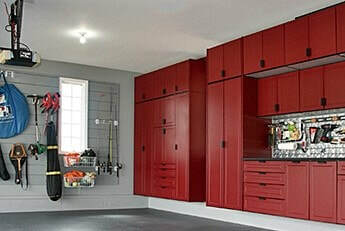 Redline offers hundreds of garage cabinet choices and a wide variety of colors to suit any need and taste. 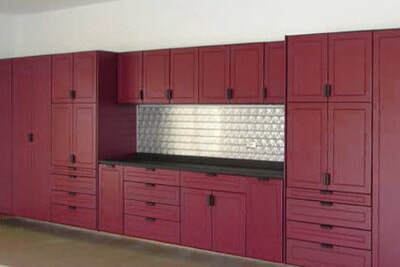 And Redline cabinets are designed specifically for the garage environment, and carry a Lifetime Warranty, therefore you can have confidence your investment in your home is a good one. 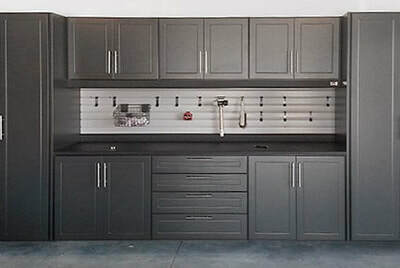 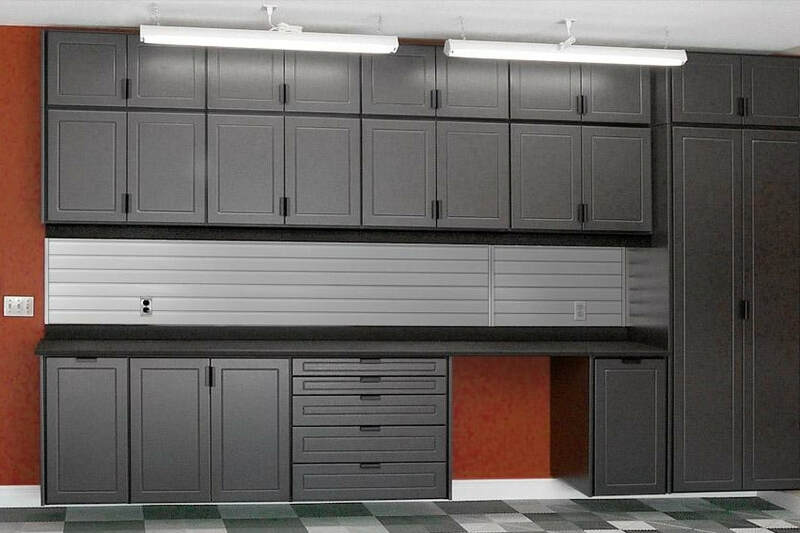 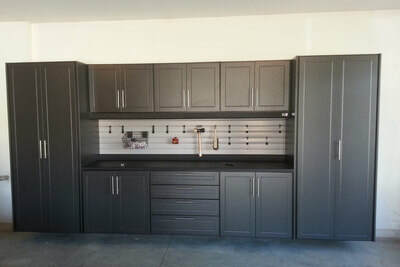 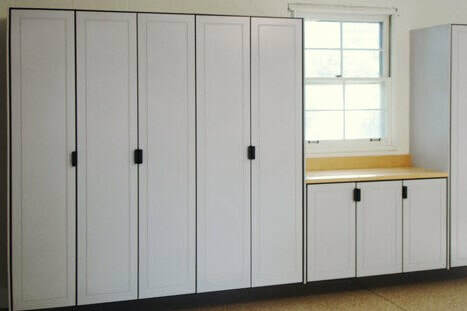 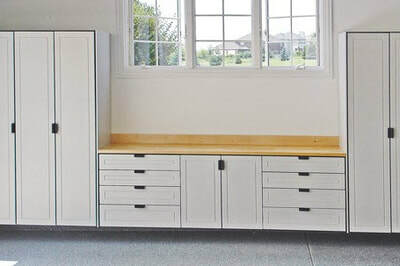 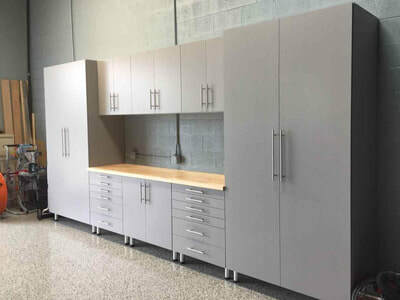 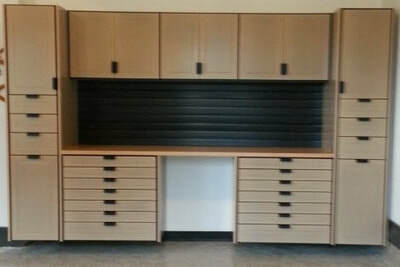 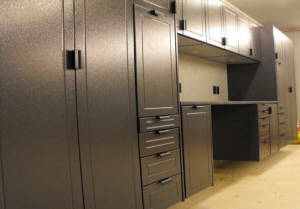 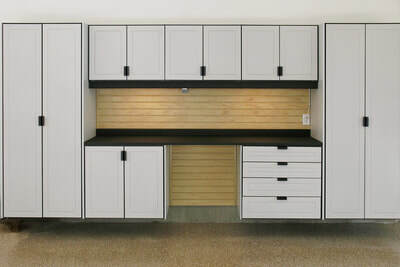 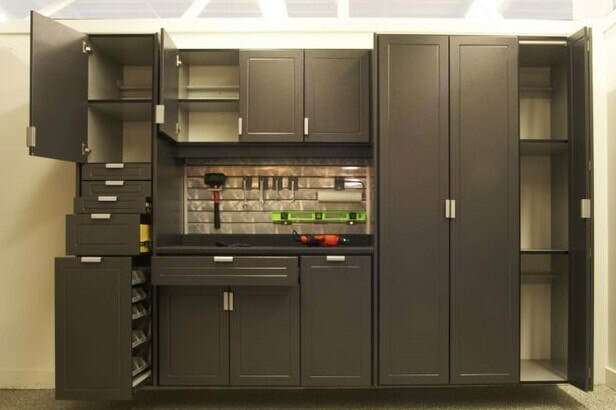 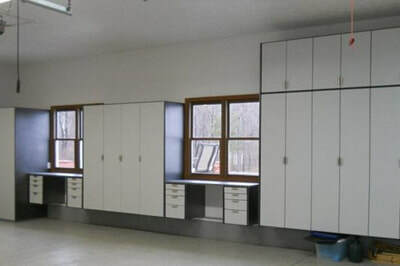 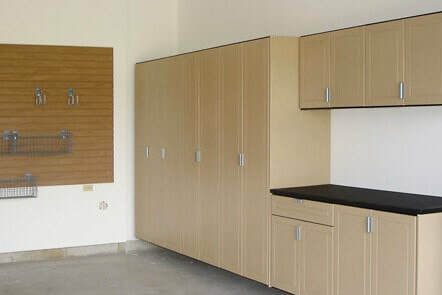 We sell and install the RedLine brand of garage storage cabinets offers more storage cabinet styles and sizes than any other custom garage storage manufacturer. 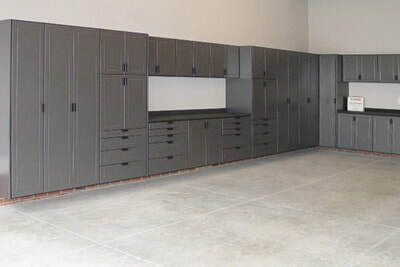 With the various styles, widths, depths and individual cabinet configurations available, more than 500 cabinet choices are available. 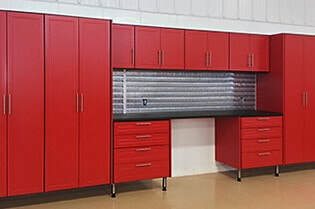 And all RedLine garage cabinets are available in your choice of 11 great powder-coated colors. 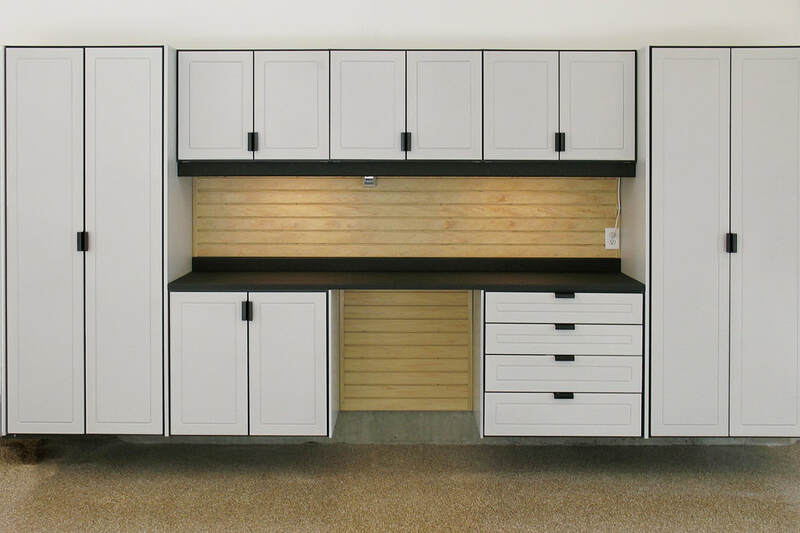 You can be sure to find a perfect fit for your space, tastes and storage needs.